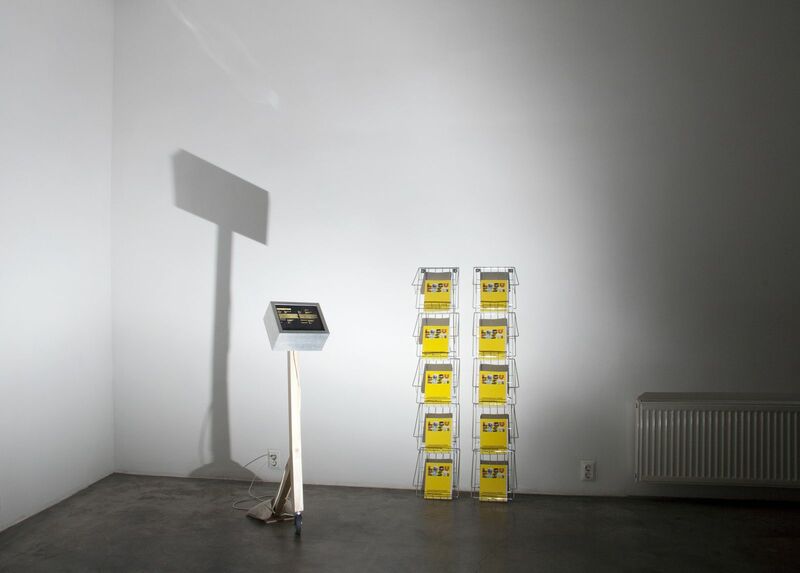 Visible Solutions LLC was nominated for the Estonian contemporary art prize – The Köler Prize 2014. 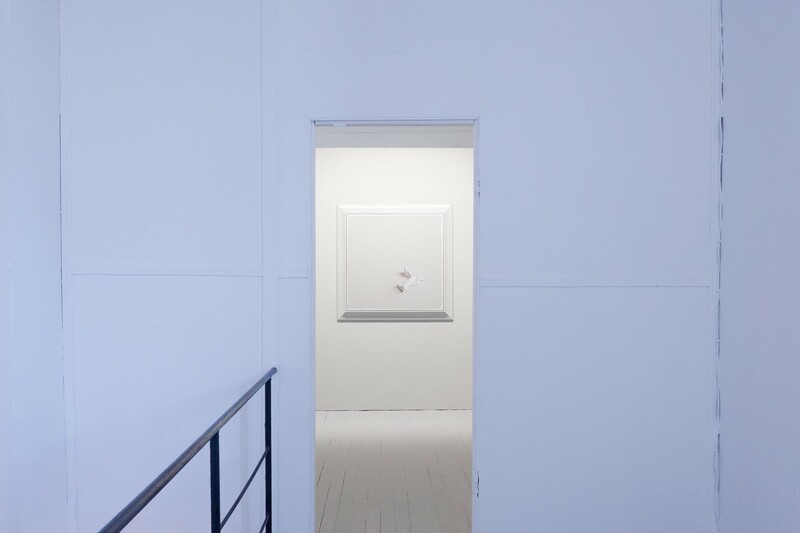 We decided to commission our work for the show from one of the best contemporary painters in Estonia – Tõnis Saadoja. Ligudik, Valuemeter and Artwork Consisting Only of its Value is a three-piece artwork originally commissioned by the steirischer herbst festival, Graz, Austria (2013). 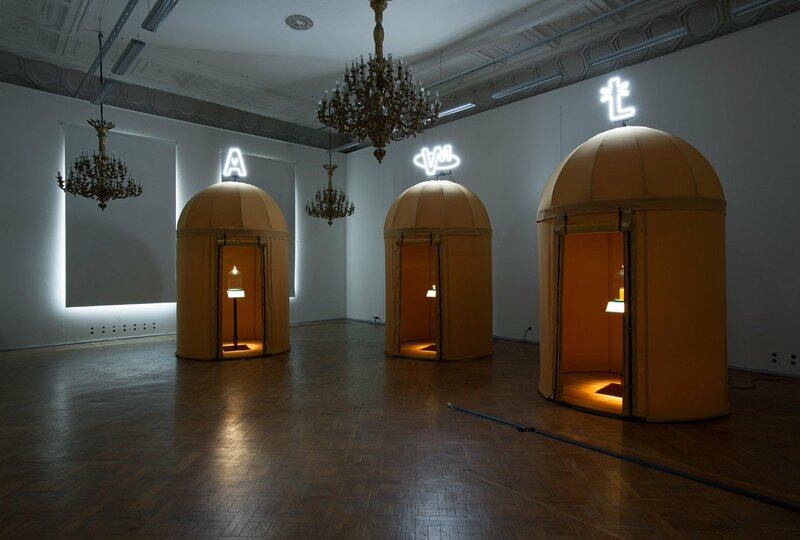 The Artwork Consisting Only of its Value consists of a value defined by a mathematical formula based on a combined interest rate calculation that increases over time ad infinitum. The special device called Valuemeter calculates and displays the current value and allows the viewer to experience the incessant growth. The value is calculated and displayed using a new currency – the Ligudik, the value of which is equivalent to the energy contained in one kilogram of human fat. The third piece is a representation of one Ligudik – a kilogram of refined human fat in a glass vessel. 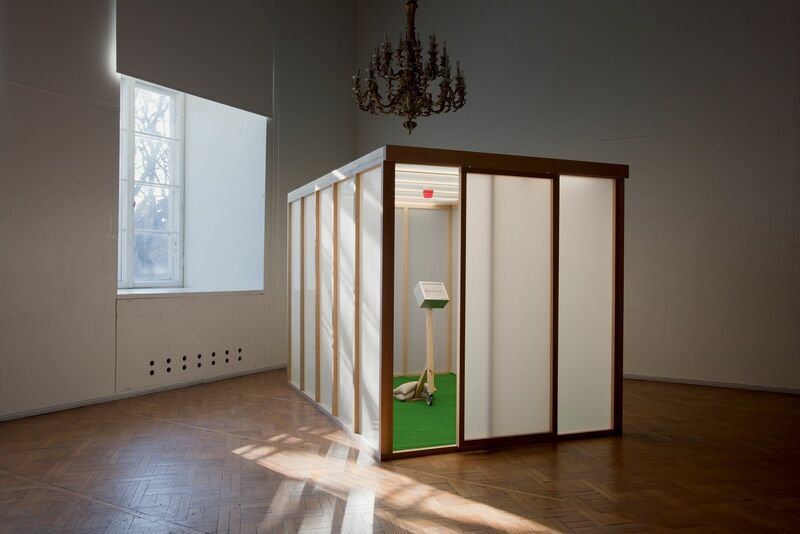 The work is a miniature environment for reflecting on the ideas of value, growth and human energy in the context of a capitalist economic system. Chamber of Freedom with Integrated Memory Hole by Visible Solutions LLC is a revolutionary product that utilizes vacuum technology. It allows you to handle information containing the most uncomfortable ideas that could pose a threat to the system comfortably and without any risk. Chamber of Freedom with Integrated Memory Hole converts the act of listening into a safe ritual and gives you total control over the information. Turn up the volume and listen without any threat to your views. 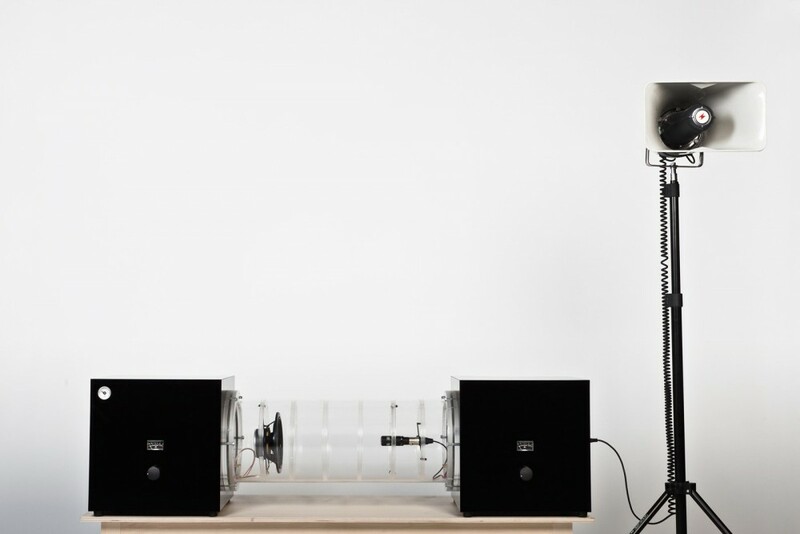 Chamber of Freedom with Intgerated Memory Hole consists of a vacuum vessel and two separate amplifier boxes. A void of extraordinary strength – a Memory Hole is created between the loudspeaker and microphone by removal of almost all air. 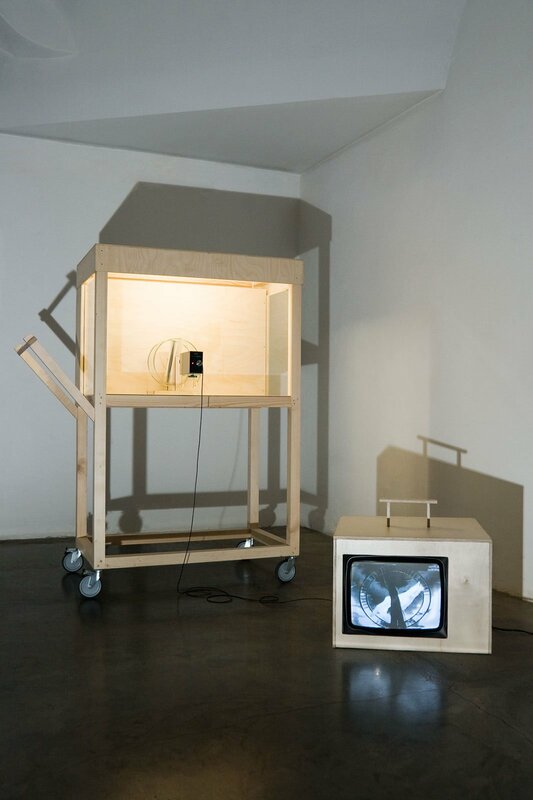 The sound is inserted into the chamber via the loudspeaker, processed in the Memory Hole and captured by the microphone and then re-amplified and released via the powerful horn speaker. Hear and enjoy. (In)Dependence is a service by Visible Solutions LLC that offers a fast, effective, comfortable and pleasant exit from a confining system for a maximum of 6 people. Our service offers you an excuse for independence and dependence simultaneously. It is particularly suitable for the practical people who think that every object should have a clear function, and to the unpractical people who appreciate the necessity of functionless objects. Due to the possibility of unpredictable combinations of (In)Dependence we cannot offer you any warranty. The use of this service is at your own risk only. “Hoisting the Banner” is a ritualistic photo performance that takes place when Visible Solutions LLC enters a new market. This happens when we exhibit our works in a new country. It’s visual language is derived from classic propaganda imagery. By placing the invisible hand on the national flags our goal is to bring into focus the economic order and to create a grotesque post factum visual of the advancement of the neo liberal economic order. And of course the ever expanding photo series tells the success story of our company – Visible Solutions LLC. 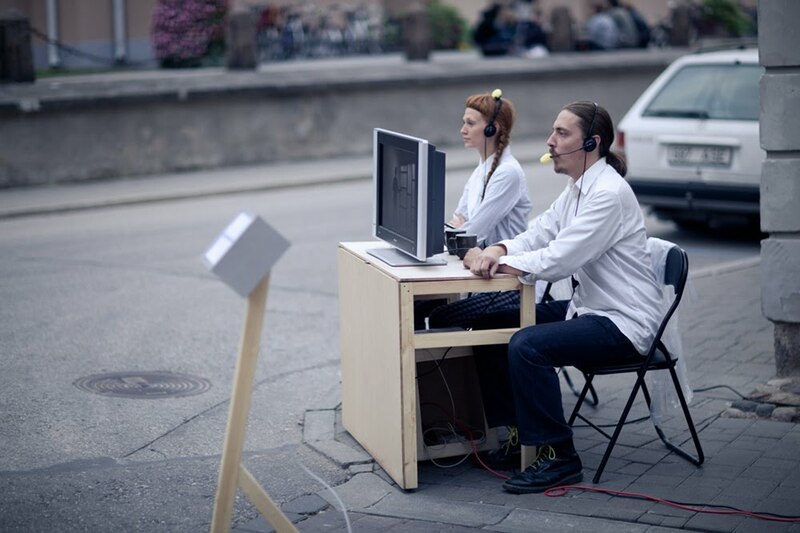 It is simultaneously a performance and a photo work. Correction is a universal product, following a long line of traditions and its new composition allows it to work even faster and more effectively. Correction offers a convenient and affordable way to modify and enhance reality. The product can be used to fill holes and blank spaces as well as to combine different materials. 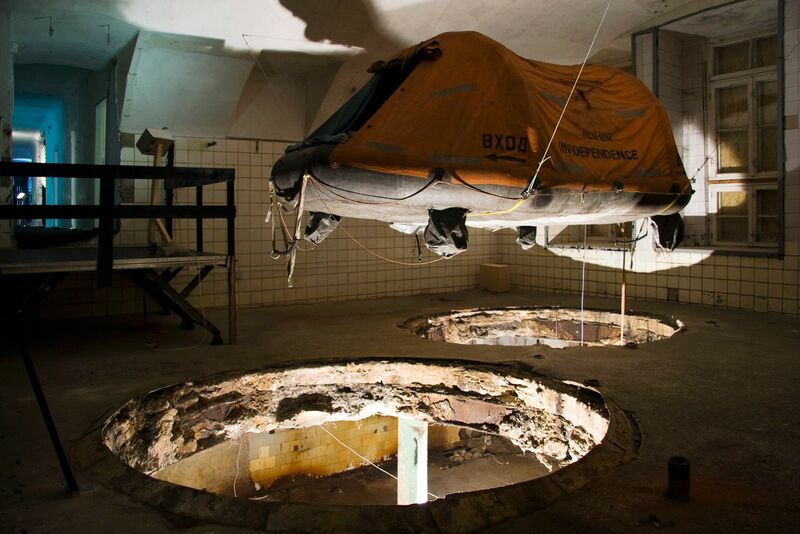 The product Correction can also be utilized to repair larger hole-material-hole structures. The product may or may not be usable for everyone. You may come across our sales presentations in exhibition halls, shopping centres, train stations or while taking a walk outside. Every presentation lasts about two hours, during which we loop the 7-minute long introductory text to our products. Come and see! We made 49 special offers to the most important persons working on the fields of art and economy. We offered them the possibility to aquire one of our artwork products through an artwork-transaction. If you are interested in any of our products, you must wait for our personal offer or make one yourself. “Clarity” exterior space for interiors by Visible Solutions LLC is designed with the most demanding clients in mind. Who hasn’t experienced the urge to leave their working space and relax, or seek new inspiration from the green grass and the fresh air of the outdoors? “Clarity” makes this easier than ever. “Clarity” exterior space for interiors is the great outdoors within the four walls of your office or home. It has been proven there is a 75% chance of coming up with truly new ideas while using “Clarity”. Creative people need a creative environment — this is what “Clarity” offers. Unexpected combinations enhance your creative potential! Adam Smith’s Pet Invisible Hand in a Cage is a unique product by Visible Solutions LLC, born from the symbiosis of entrepreneurship and creativity. It offers truly high value to its users. If used correctly the economic success of the customer is automatically converted to common good and the enterprise or the individual becomes socially responsible without any special effort. The product is designed for a modern business environment. Its thoughtfully minimalistic and timeless form make it an eye-catch- er in every office. Its ergonomic handlebar and quality wheels make relocation a breeze. Visible Solutions LLC made its first business deal with Mrs. Laine Jänes (now Randjärv), the Estonian Minister of Culture at the time. The deal was made via Facebook; in the process, the enterprise and the Minister exchanged symbolic capital. The event took place on 31 August 2010, one day before the start of the new school year. 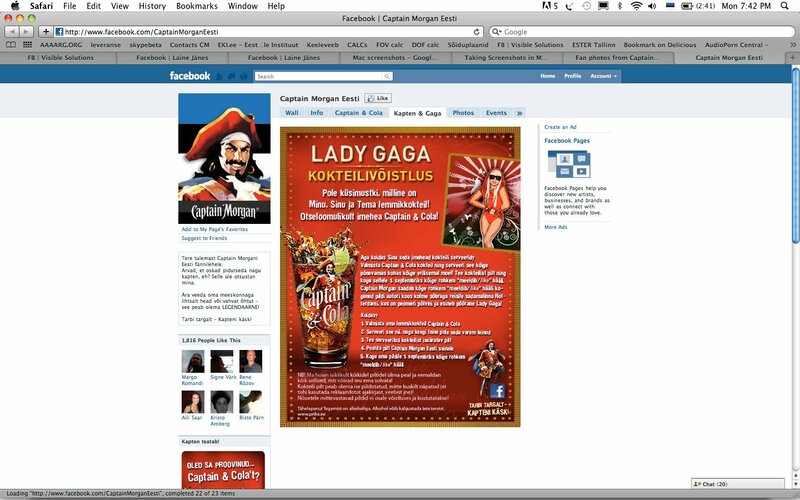 An advertising campaign for Captain Morgan Rum was happening on Facebook – “Lady Gaga cocktail competition”. The participants took a photo of a rum and cola cocktail, posted it on the wall of Captain Morgan’s page and tried to get as many likes as possible by 1 September. The prize was a trip to Rotterdam, to a Lady Gaga concert for the author of the photo and their three friends. The Estonian Minister of Culture Laine Jänes (now Randjärv) encouraged all her facebook friends to like a photo in the competition. Taaniel Raudsepp: “Deal. On the condition, you like this: https://www.facebook.com/VisibleSolutionsLLC. Laine Jänes likes the offer by Taaniel Raudsepp, Laine Jänes likes Visible Solutions LLC’s Facebook page. Taaniel Raudsepp likes the rum and cola photo promoted by Laine Jänes.